We just had an excellent initial meeting with a potential client here at Tweedee Productions. As our meeting went on, I began to realize what a great team of people I work with. I also realized that I didn’t have to do much during the meeting. I was free to relax, listen to our new friends, react when I needed to, and not think that I had to “make” the sale in the end. As many small business owners know, this is not always the case. Usually the owner has to make the sale, perform the work, and then take out the trash at the end of the day. When I first started out in business 12 years ago, I often thought that being a product driven business would be preferable to a service based one. I thought that by selling a product I would see immediate results. How many widgets did we sell today? How full is the cash drawer? How many customers came in today? Immediate results. Buy product – resell – buy more – repeat. But, as we all know, selling a product is not always a guaranteed success. Remember Circuit City anyone? 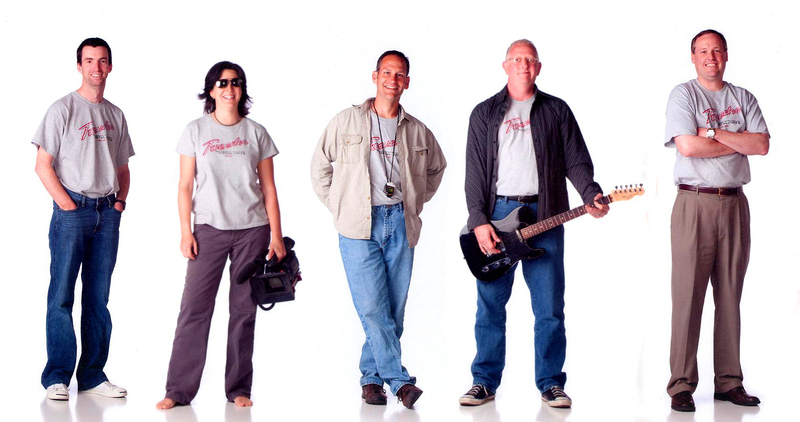 Tweedee Productions is a service based business. As such, I’ve finally come to realize that what we sell (or what our customers buy) is “us”. They buy “us” because we provide a unique service that’s not widely available for one thing. They also buy “us” because of our unique talents and abilities. But most importantly, I would suggest that they buy “us” for who we are as people. It’s interesting to note that our potential client never asked about our technical capabilities – apparently not an issue for them. I believe that first and foremost, they liked us as people. Sure, we can provide whatever technology they need, that’s the easy part. But the most important thing to them was working with a company that can tell their story. That’s what we do best. We are a company of individuals with strong storytelling skills and decades of combined video production experience – things that you can’t learn from a book or acquire from a software program. We are also good people. A big “thank you” to all of my co-workers for being as talented as you are. Now it’s time to take out the trash. Gregg Schieve, Founder, CEO and guitarist, Tweedee Media Inc.
there’s always room for jello! seriously though – thanks!